The mobiado Grand 350PRL is the manufacturer's first QWERTY phone. 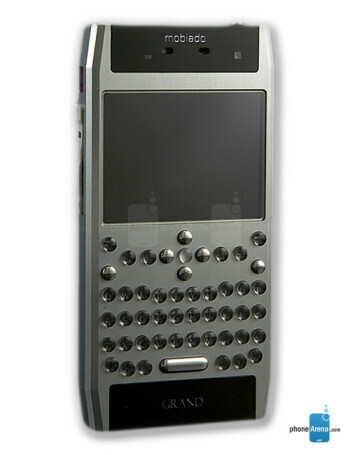 Closely resembling the Nokia E71's form, the Grand 350PRL adds some qutie expensive materials to the making. It's body is made of machined aircraft metal and plated with black nickel. Its keys are of saphire crystal and stainless steel. The back is pretty fashionable, entirely made of sapphire crystal. The phone also has a Pioneer edition, which pays tribute to NASA's 37 years old Pioneer 10 spacecraft.